I am so excited to be invited by Rosa of Rosa's Yummy Yum to write and share with everyone about a traditional Malaysian delicacy, Lemang... (pronounce as Le-Mung). Lemang is a 'must-have' dish during Eid celebration. To my fellow Malaysians who reside overseas...and at times have that 'craving' for Lemang... fret no more... you too can make Lemang without bamboo and a huge bonfire in your back yard. 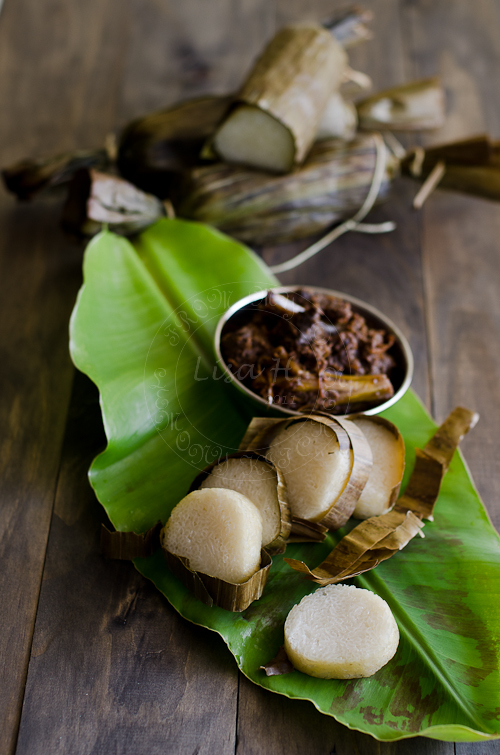 So let us head over to Rosa's Yummy Yum blog to enjoy my Homemade Lemang. Thanks so much for the awesome post! Everything about it is beautiful. I haven't touch lemang for 5 yrs dah..
Can you believe I've not had lemang at all this Eid? I'm so making this, even if it means Syawal will be gone by the time I come back. Hi Lisa, this is such a truly gorgeous guest post that you did for Rosa! Oh Lisa! Looks really good! Making me really hungry. Wonderful guest post! I'm drooling..... hahaha..delicious lemang. 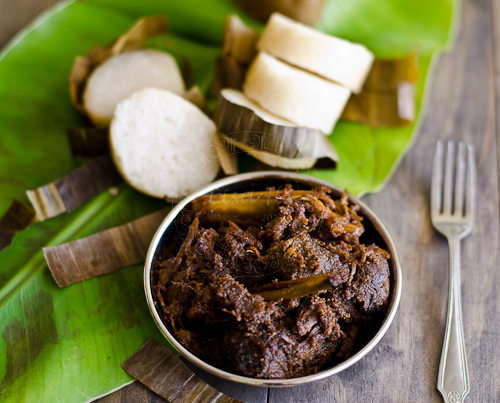 I like to eat with rendang. Beautiful picture. Have a nice weekend. I had a lot of fun reading the full post on Rosa's blog. You are really talented and the photos are indescribable! Your lemang looks great! The Malaysian community here resort to frozen ones from the grocery store but homemade is so, so much better! Just hopped on over from Rosa's blog after seeing your beautiful guestpost. I love the pictures and I'm glad I found your blog! A great guest post, Lisa. Looks absolutely delicious. Beautiful photos as always. Hopped over from Rosa's blog to yours. Lovely space you have here. Loved the way you described everything in the post. Lisa, I love the first picture! So amazing. May I ask what lens do you use? 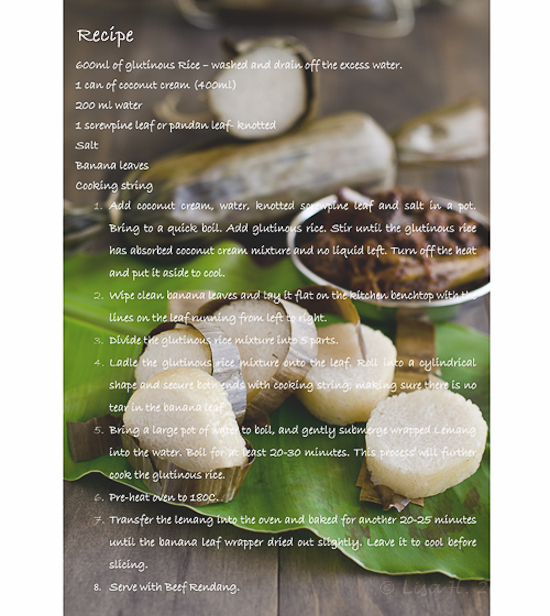 just came back from rosa's blog, thanks so much for sharing the homemade lemang recipe, it's really useful for many people! Amazing guest post for Rosa, Lisa :) Glad to have discovered your amazing blog!